Volcanic eruptions are often an economic nuisance (remember Iceland’s Eyjafjallajökull?) and sometimes burgeon into major natural disasters resulting in loss of life. But like many of the natural world’s most violent and disruptive events, they sure do make for some incredible photo ops. 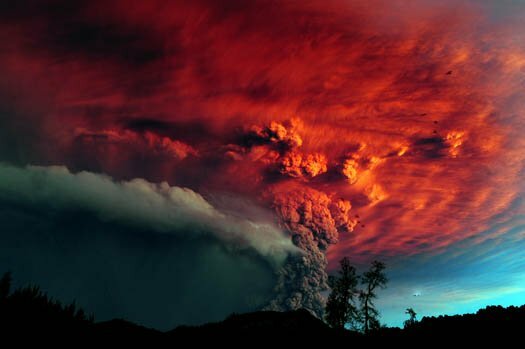 Chile’s Puyehue, which began erupting on Saturday, is no exception. So far, Puyehue has caused the evacuation of 3,500 people from 22 rural communities, but from its location more than 500 miles south of Santiago it has yet to cause the kinds of disruptions that two different Icelandic volcanoes have visited on Europe in the last couple of years (though one busy Chilean-Argentine border crossing has been closed due to poor visibility). Puyehue has produced a massive ash plume, as you can see by clicking through to the gallery above. A wind shift on Sunday pushed the ash cloud from where it had been blanketing Argentine resort towns back into Chile, where it could threaten some agriculture in Chile’s Lago Ranco region. That’s certainly not a good thing, but in the meantime Puyehue (and the surrounding weather) is putting on a show for photographers.